Roatan, Honduras – Pan Caribbean Capital Partners I, Ltd. and Pristine Bay Resort – partners in one of the western Caribbean’s most anticipated luxury resort, golf and residential communities – have introduced the new Resort Villas at Pristine Bay. The first 11 of an eventual 30 two-bedroom, two-bathroom luxury units – each with unobstructed views of the beach and ocean – have been released to the public for sale. There are three different floor plans from 2,700 to 3,400 square feet (inclusive of air-conditioned, covered deck and outside deck area). 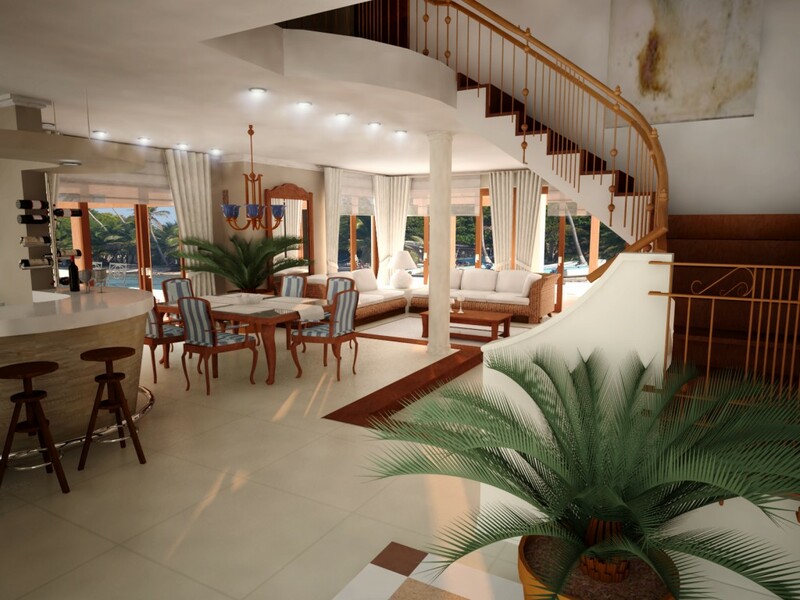 The villas are inspired by Caribbean architecture with high, white-washed ceilings; stained wood trusses and trim; Italian terracotta tile roofs; wood shutters; and white plaster walls. Other design features of the fully-furnished units include spacious bathrooms with the finest fixtures; large great rooms; full-service kitchens; dining and living areas with French doors opening to expansive terraces; infinity edge pools and more. Owners acquire the property in fee simple and enjoy full access to all resort amenities. They receive 60 days of annual use and excellent cash flow from the hotel rental pool. Prices range from $805,000 to $895,000. Pristine Bay Resort’s exceptional amenities include Roatan’s first golf course, The Black Pearl, designed by Pete and Perry Dye. It boasts ocean views on 14 holes and a signature island-green, par-3 11th hole. A 155-slip, full-service marina near The Black Pearl clubhouse will provide deep-water access for a wide variety of vessels. The five-star, 120-room Resort and Spa at Pristine Bay, sure is scheduled to open in February 2011 and will be managed by Destination Resorts, Ltd., which also manages Victoria House Resort on Ambergris Caye, Belize and Casa Encantada in Antigua, Guatemala.